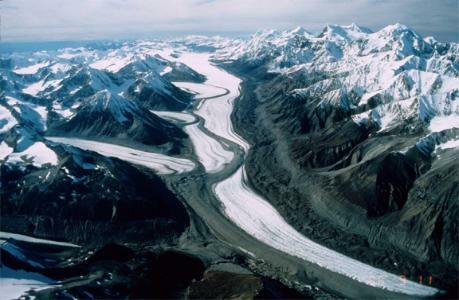 single glacier flowing down a valley, there is just one pair of lateral moraines and one end moraine, as shown above at left. 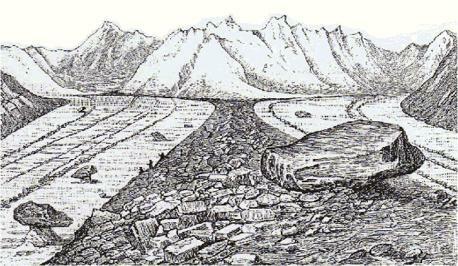 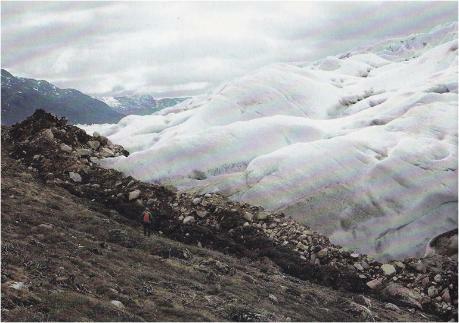 much stronger than the other, the combined medial moraine is closest to the side of the valley from which the weaker glacier emerged. 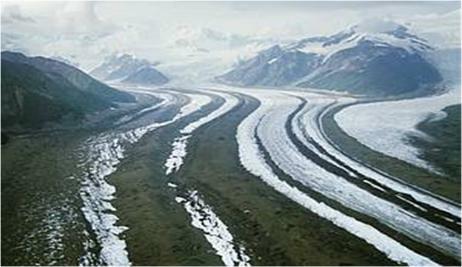 number of glaciers which have merged. 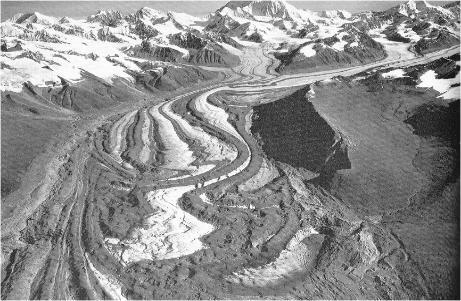 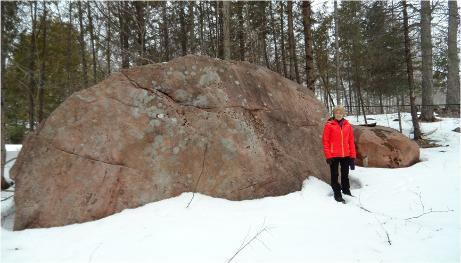 may be scored with parallel, relatively horizontal lines, made as smaller rocks in the glacier were pushed past the erratic and scraped against it. 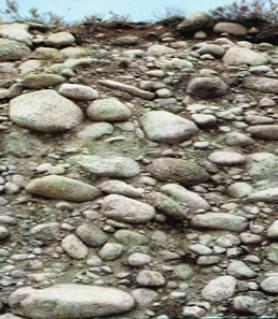 result can be a mushroom-like formation with a boulder balanced on a column of softer rock, as shown above, right. 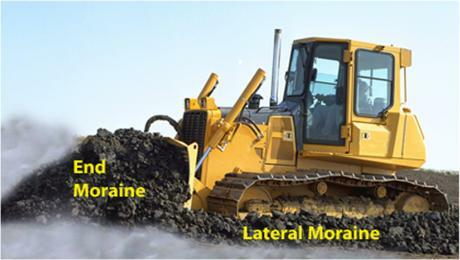 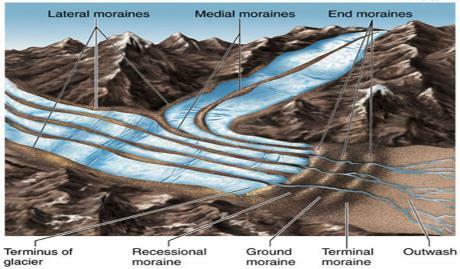 end moraines. 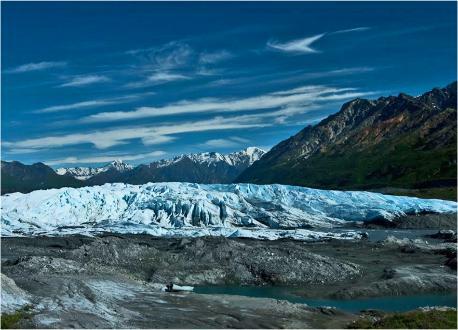 The farthest one away from the head of the glacier, is known as its "terminal moraine." 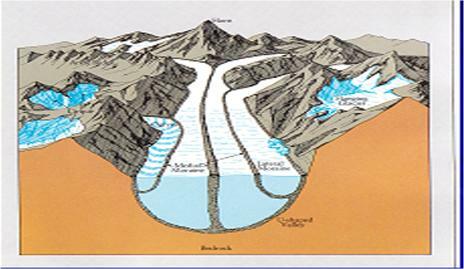 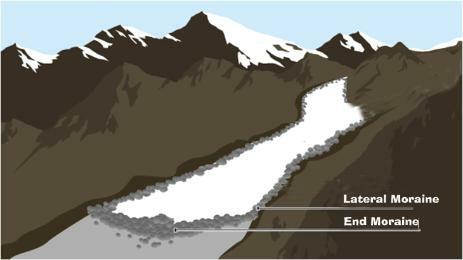 If an end moraine runs completely across a valley, it can act as a dam, trapping melt water from the glacier and forming a terminal lake. 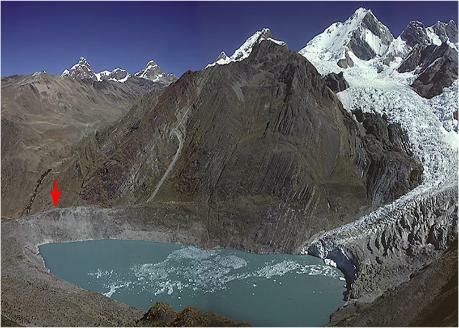 The white dots in the glacial lake at right are icebergs calved off the glacier. 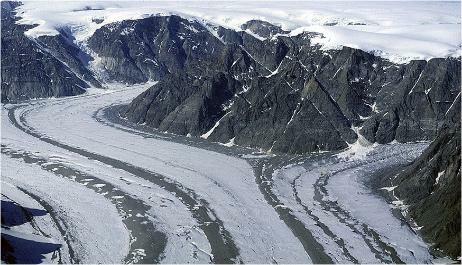 that their medial moraines writhe and twist like a nest of snakes.